Learned something new about the numbers. I carry my Dad's on my keychain. I hope his Family is Found. I wonder if contacting the Norton Air Force Base Museum or posting this article on their facebook page: https://www.facebook.com/pages/Norton-Air-Force-Base-Museum/173840892748379 would help find any family? T43 means he had a tetanus shot in 1943. His blood type was A. The style of this tag was used from July 1943 to March 1944. I checked NARA databases using his serial number and didn't find anything. Emma - thanks for the suggestion. I joined, and posted at both the Museum page and the Alum page on Facebook. 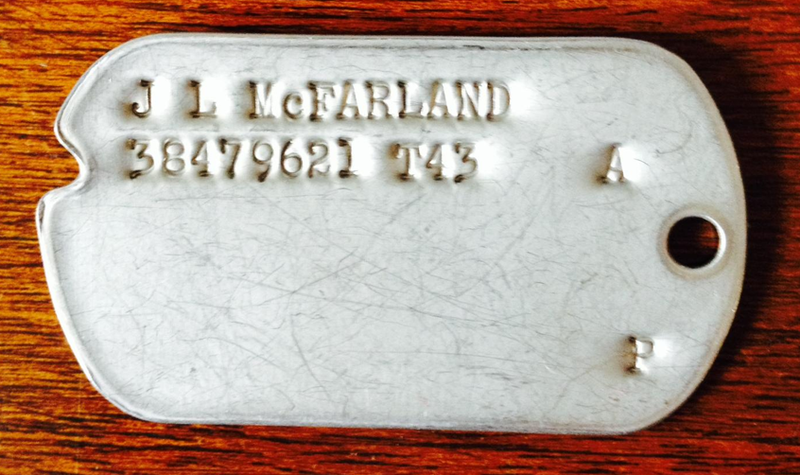 JL McFarland - died 2009, family found and will be contacted.